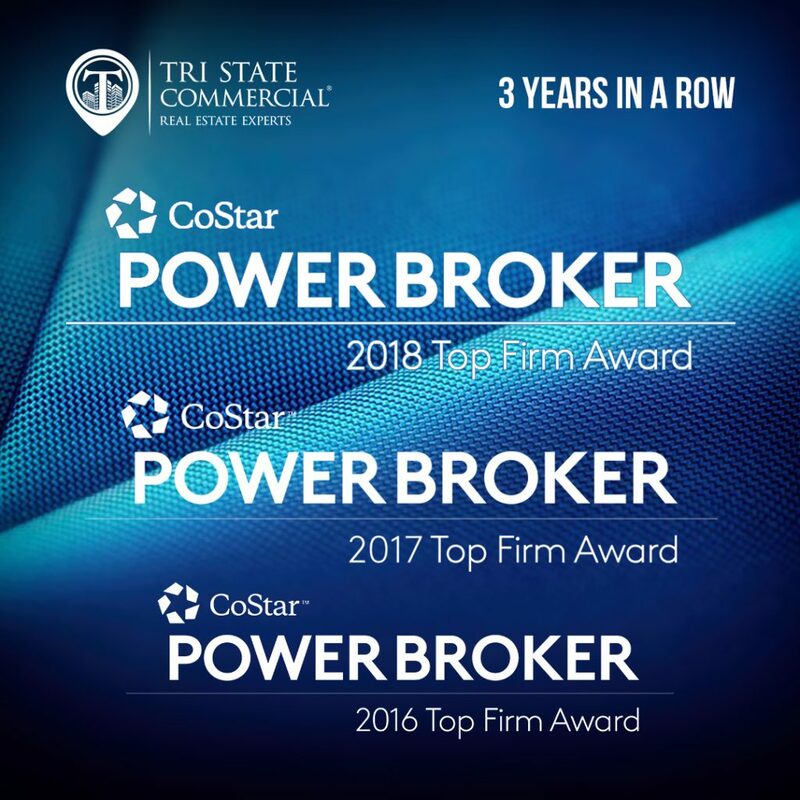 Brooklyn, NY – Founding the company in 2014 Shlomi Bagdadi, president and founder of Tri State Commercial® Realty, didn’t expect winning the CoStar Power Broker Top Leasing Firm Award for the third year in a row. 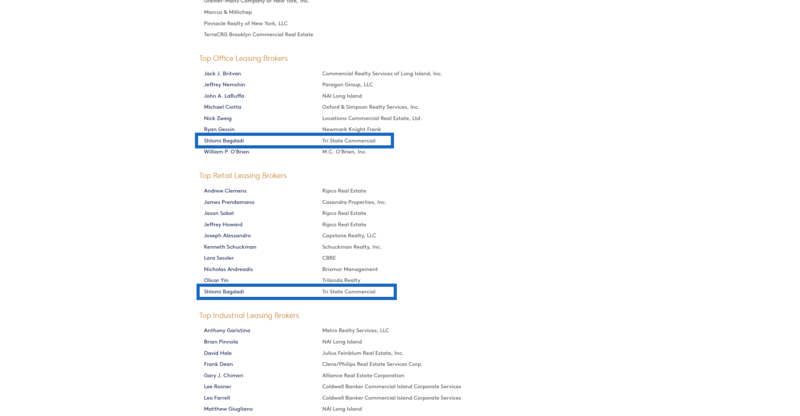 Bagdadi also won CoStar Power Broker’s Top Leasing Broker Award and Top Office Leasing Broker Award. This is the first year Bagdadi receives the award for office leasing. Tri State Commercial closed over 100 transactions in office and retail leasing in 2018 and was also ranked number one once again in the number of retail deals closed, according to The Real Deal leasing charts. 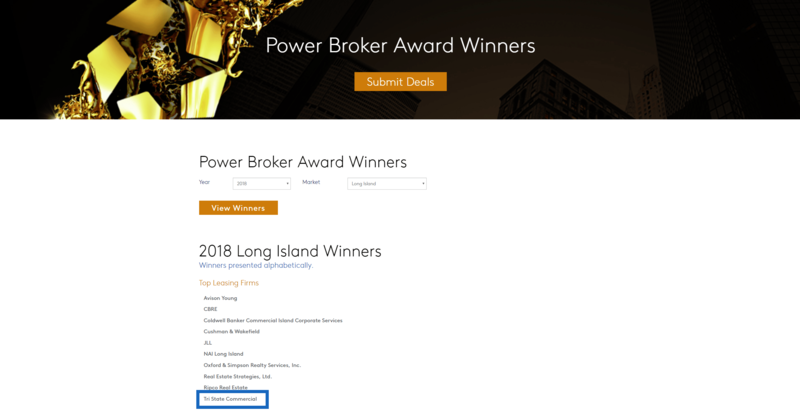 As news of the CoStar winners was announced, the team hopes to continue to expand and excel the quality of service they provide to owners and tenants while upholding the standards as one of the top commercial real estate brokerages in Brooklyn. To see the full list of winner click here. CoStar provides the largest independently research database of commercial real estate property information available online and is recognized as the best distributor of analytics and online marketplaces. The company award is presented to brokerages who have been acknowledged as the top ranking firms with deals done in commercial and office leases.